Vogue 1354: Anne Klein Animal Chiffon Maxi Dress – Done! At last! Vogue 1354 is done. This is probably the most time consuming dress I have made to date. I learned an awful lot. How do I feel about the end result? Hmmm…..mixed feelings. If I am being perfectly honest, now that I have finished the dress and tried it on, I don’t think this is the most flattering dress for me. I hate to say it, but perhaps my husband was right (he is allowed to be, once in a while :-)) when he saw a preview of it when I was trying it on before finishing it. His quote “it’s a bit shapeless and sack like”. Hmmmmmm……. 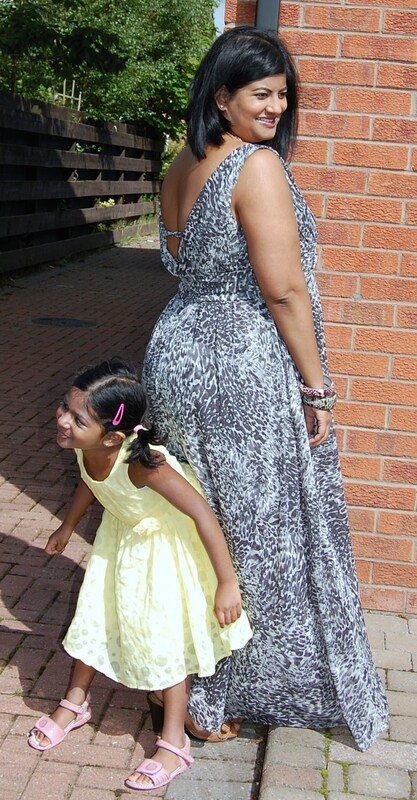 However, this is how I actually wore the dress right after taking this photographs, with my mum and daughter to the park – don’t think it wasn’t comfortable or that it won’t get worn – it will! Perhaps this is a dress more suited to those with a willowy figure?? This is also not a dress for the shy or modest. It shows quite a bit of cleavage and back. I am pleased with myself for finishing this dress and tackling the challenge of sewing chiffon. I think the finish and fit is not too bad given that I have never worked with chiffon or a pattern like this. Read my review below if you want my detailed thoughts on the pattern and process. 1. Use tissue paper to stabilise the fabric when you are cutting out. I used regular craft tissue paper as that was all I had to hand, laid it out on my cutting surface, laid the chiffon fabric on top (husband helped with that – it’s a two man job to keep the chiffon taut and straight) and pinned through the pattern, fabric and tissue paper. I cut through both the fabric and the tissue paper with my dressmaking scissors. Yes, I know some people are going to tut and say my scissors will blunt. Well, they seem ok (have used them since), and my scissors are not really expensive ones anyway. It made cutting the chiffon much more accurate. 2. Use the right size needle. I used a Schmetz 70/10 needle for this project and it gave smooth results. 3. Interface the wrong side of your fabric when inserting your zip. I applied some of the sew-in interfacing to the wrong side of the zip area and inserted my invisible zip. Result: no wrinkling or puckering. Lined dress has close-fitting, bias front, draped (overlapped front) bodice with stays, gathered skirt, and elasticized back casings and invisible zipper. The dress consists of a bias cut, draped overlapped front bodice with stays, and a gathered skirt. 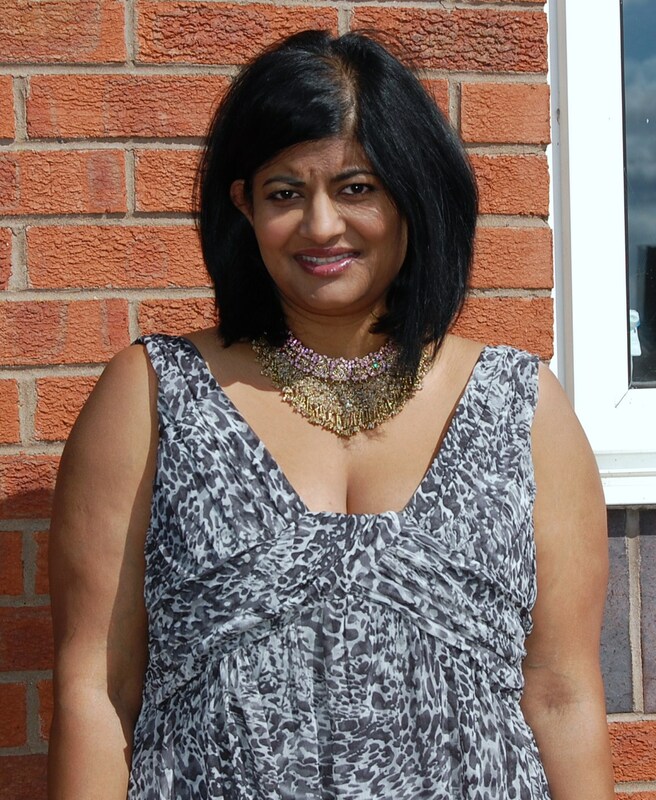 As mentioned in a previous blog post, the bodice of this dress is where all the work lies. The pleated effect is achieved by sewing gathered sections on to stays which in turn are supported by sew-in interfacing – so all the stay sections have to be hand basted. There is a fair amount of hand sewing (largely basting) in this dress. The lining sections are also interfaced with sew-in interfacing. Yes, they were very good I think. Put it this way – if I was able to make this dress they must have been! 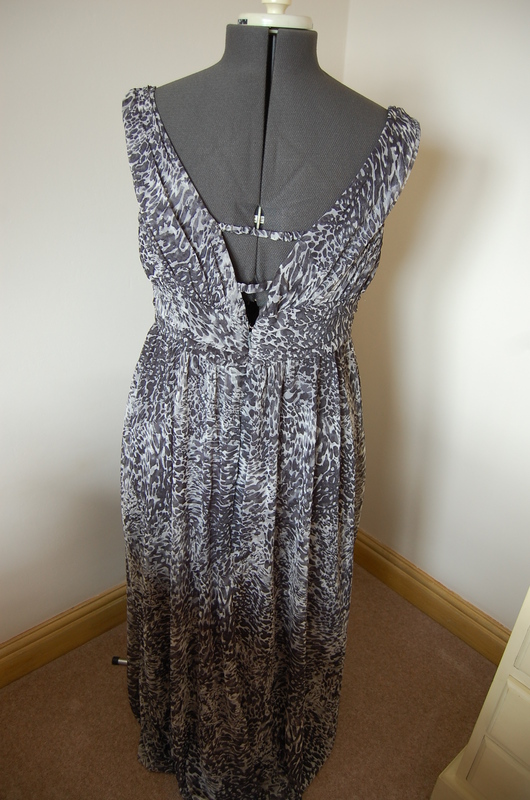 Now that this dress is completed I do think it is a comfortable and cool dress to wear (probably next summer now). But I have to say that I feel this dress is perhaps not the most flattering shape for me. I do like the pleated bodice. But this not a dress for the shy or modest – it is low cut and exposes a lot of cleavage/ back. I really wouldn’t like to say how easy it would be to even modify the pattern pieces to alter this. 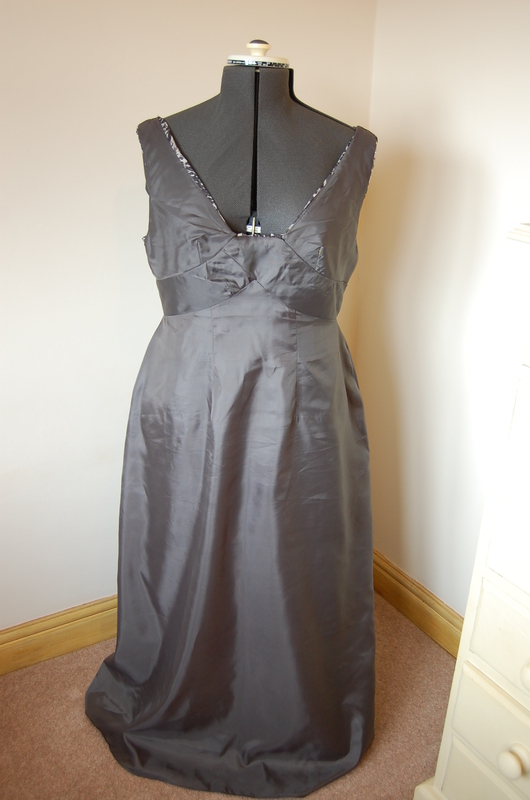 As this dress was my first venture into sewing a garment using chiffon, I used polyester chiffon with an acetate lining. I did not dare splurge on anything too costly in case it all went horribly wrong. I really didn’t have a clue where to start with sizing/ adjustments for this dress. I made a very rough muslin initially (using polycotton – I know – as far from chiffon as you could get), but that helped me decide that I would cut 2 sizes bigger that normal for the front bodice pieces (both upper and lower) and my usual size for the upper and lower back bodice pieces. The skirt pieces I like wise cut the front piece to the size corresponding to the size I cut for the front bodice, and the back pieces corresponding to the size I cut for the back bodice. I don’t think I am too unhappy with the fit. To be honest the pattern was just too scary for me to try and figure out how I would go about adjusting it, but now I have made it once if (big if) I ever made it again I might attempt to make it slightly less deep in front (? – see above) and there is possibly a little gaping on the back. The instructions (step 8) tell you to pin the lining to the bodice and stitch along the front, armhole and back edge, leaving 1 inch openings to later feed the elasticised casings through. They then tell you to understitch the lining as far as possible. If I were making this again I would pin the lining to the bodice and stitch as instructed, leaving the openings, but I would NOT understitch the lining on the bodice back until AFTER I had inserted and sewn in the casings. I think it would be easier that way. I reduced the measurements of the casings to 3 inches (plus seam allowance) for the upper casing, and 1 inch (plus seam allowance) for the lower casing. (BTW, I used my rouleau loop turner to making the casings – worked beautifully with the thin chiffon). I didn’t sew the casings in until after I had the zip in and could determine what size casings would work for me. Some of the notches didn’t seem to match up when applying the lower bodice fronts to the stays. The pieces match in terms of the size and shape, but the notches seemed out to me. Just something to watch out for. I eliminated the skirt front seam, and cut on the fold. I used french seams to join the skirt sides and a mock french seam to neaten the back seam. The skirt and lining hems are finished with rolled hems. With hind sight, I wish I had included a zipper guard to protect the delicate fabric. I would recommend this to anyone else considering sewing this dress. I cut the chiffon fabric out using tissue paper under it to give a more accurate cut. 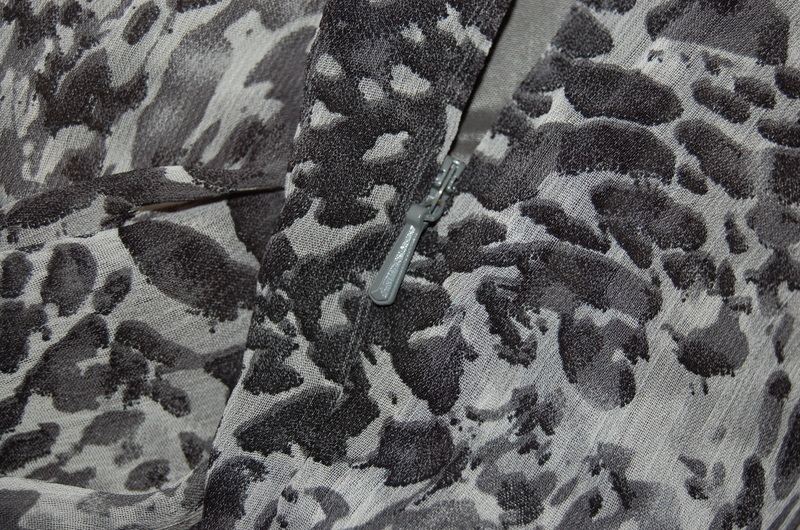 I used a Schmetz 70/10 needle for sewing and interfaced the zipper area before inserting the invisible zip. Probably not sew it myself but yes, if you are brave enough, I do recommend it. Paris fabric shopping and I need some advice! Such a pretty dress, you did a great job! The fabric you chose is perfect and it looks really nice with the touch of color from the green shrug and necklace. I really appreciate your thorough review of this pattern. the result is gorgeous. very glamorous. that looks like a difficult pattern to fit so you did a great job. time for something easy next ! 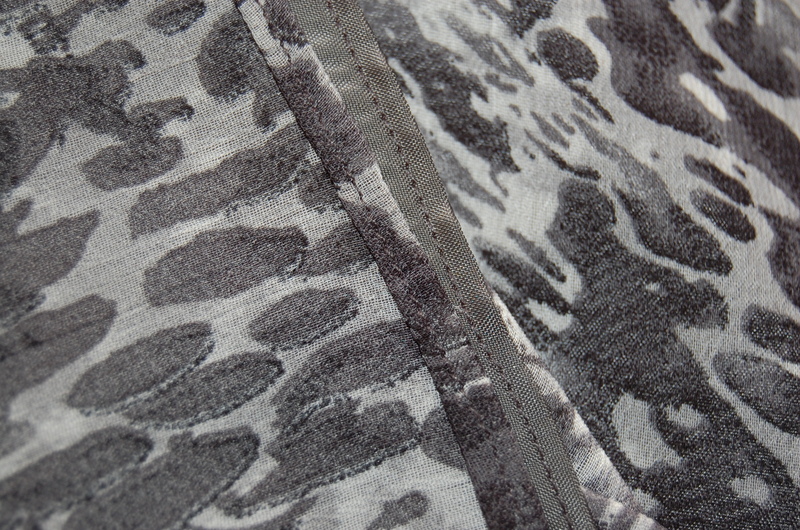 and you choose the most fantastic fabrics. Thanks Beth and yes – time for something easy! You’re a champ for hanging in there and finishing the dress! I’m sure the experience was valuable. I think it looks great and you chose the perfect fabric. It may not be your favorite, but you did a phenomenal job on the sewing — very impressive! And it still looks very pretty on you. I really like your dress and think you look elegant in it. Love the print you chose. You did a beautiful job. The dress is figure flattering and it definitely gives you an hourglass figure. The fabric was perfect. I do agree that the is low in the front & back. Otherwise, it’s beautiful & flattering. I actually think it is truly spectacular on you. The print is subtle yet uniform, and the shape is very pretty, love the “knot” at the bodice front. Sewing with chiffon gives me fits, and to see someone tackle a maxi dress with success is true courage. Wear it with pride, it looks lovely. The fabric is perfect for this dress. And kudos for actually making a muslin to get some idea of fitting that bodice. I love the back, and I don’t agree with your husband, considering that if you’re not 6 feet tall, most maxi’s look like a big flowing sack anyways. I’ve wanted this dress since first seeing the pattern and am tempted to make it up yet. I love your version, and congrats for sewing up something that pushed you a bit. That’s why we sew, ne c’est pas? Thanks Tia Dia. You should definitely give it a try! I’m awe-struck by the skill shown here – looks great and so elegant! I also think this dress looks beautiful on you. The green shrug is great with it. I can only imagine how hard this fabric is to sew. Congratulations on a job well done. I love it. Beautiful, beautiful dress, and you wear it well! I always enjoy seeing your reviews! GREAT review! You’ve touched on some important issues… utilizing easier ways to sew in the lining…cutting the muslin to estimate your fit….and the use of tissue paper to cut your chiffon out…and, your rolled hemming is well done! 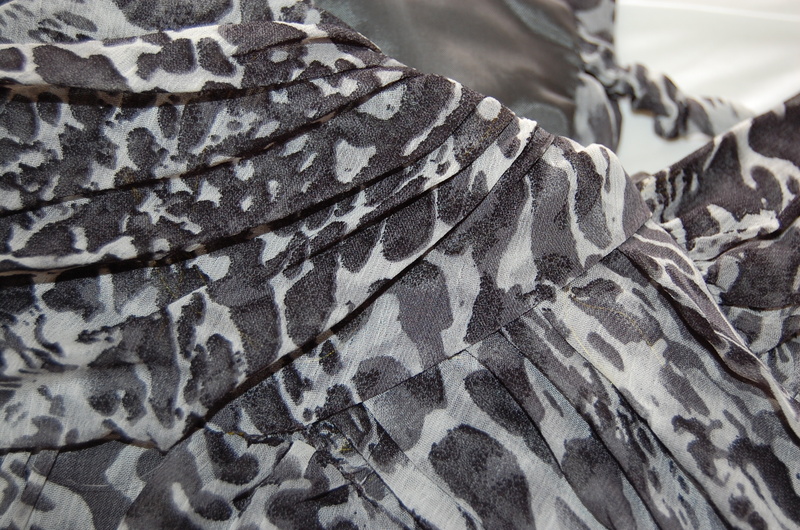 I’m amazed that this is your first time sewing chiffon, beautiful job, I never would have guessed if you didn’t say so! You sew beautifully! I love the way you styled it with that crop sweater! It’s equally pretty alone! And, that little cutie in the pic with you is adorable! Thank you so much Alethia! I totally disagree with your husband, I think this looks great on you. I am a huge lover of maxi dresses and while it sounds as if this was rather fiddly and frustrating to put together, you’ve done a great job. Hi Sam. I like maxis too, but I am thinking next time I might try one with a waist??! Your tips for sewing with chiffon are indeed very helpful to people like me, as I use this fabric only to sew patiala salwar because the fall is great and also its airy :). Will now think to sew a kurta. Lovely floaty dress. Love it styled with your green shrug too. Thanks for all the tips for sewing with chiffon. I haven’t tried anything with chiffon yet, but you have inspired me to give it a go. Thanks jean. I am sure someone of your ability will be able to handle the chiffon. Sorry, I don’t agree with your husband! It’s beautiful on you. You look effortlessly glamourous. This is such a lovely dress and beautifully sewn. It is light and floaty and perfect for summer. I just love the fabric you chose. I think this dress looks great on you. Nice styling too! I was interested in purchasing/sewing this pattern and was looking for reviews — Your post is definitely positive reinforcement! I must say I think this is gorgeous on you…and the green shrug is a perfect pop of color!